1 x Quality RAF Officers Beret Badge. RAF Officers Beret Badges. RAF officers Badge queens Crown. RAF Air Cadets (RAAC) Badged Survival Bracelet Tactical Edge. 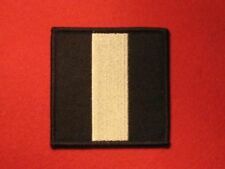 In 1946 a new range of aircrew rank badges was introduced, denoted by a series of large sleeve badges. However, although the RAF reverted o the rank structure they had used before they made the addition of an Eagle above the rank to denote aircrew ranks as opposed to ground trades. 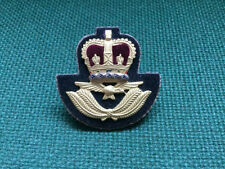 Royal Air Force Blazer Badge Sold each. Charming solid (stamped 925) silver RAF lapel badge. 50 mm wing span. Pin back fitting with safety clasp. Butterfly Clasp Fixing For Secure Fitting. made with love by. Add to Favourites. 20mm x 30mm Approx'. Black On MTP Green Patch/Badge. ATC Air Cadets. Ideal For The Royal Air Force's Air Cadets & Adult Instructor's. Combat Jacket/Shirt TRF Patch/Badge. For Combat Jackets/Shirts/Jumpers etc. Royal Air Force. In 2006 it was absorbed into No. 90 Signals Unit, as one of its two Wings. The Wing has provided communication facilities to units of the Royal Air Force, which have been distributed to different parts of the world, including during the Falklands War, both Gulf Wars and in Northern Ireland. A 1980s to the present RAF Officers bullion cap badge. Super unused condition, with slight paper residue to the reverse. NEW OFFICIAL Combined Operations Arm Badges. The badge of Combined Operations was an eagle over a submachine gun over an anchor, reflecting the three service arms; the Royal Air Force, the British Army and the Royal Navy. Royal Air Force/RAF Regiment Military Gold A/A Metal Cap/Beret Badge Genuine! Military Cap/Beret Badge. Military Cap/Beret Badge With Brass Split Pin. British Royal Air Force. 2X Butterfly Clasp Fixings For Secure Fitting. made with love by. Add to Favourites. 60mm x 20mm Approx'. 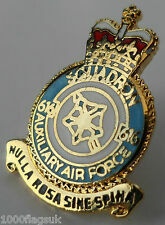 Titles/Para Wings/TRF & 2 SQN. Subdued Titles/Para Wings/RAF Colours TRF. MTP Combat Jacket/Shirt. British Royal Air Force. Ideal For All Serious Collectors Of The Royal Air Force's. & NO2 Squadron Unit ID Patch/Badge Set. Butterfly Clasp Fixing For Secure Fitting. made with love by. Add to Favourites. 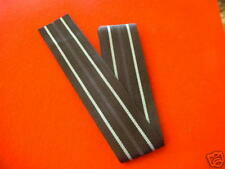 2X 60mm x 21mm Approx'. Combat Jacket/Shirt TRF Patch/Badge. TRF Patch/Badge In Full RAF Colours. For Combat Jackets/Shirts/Jumpers etc. Sew On Type . Ideal For The Royal Air Force Personnel Or Collectors. Royal Air Force. Butterfly Clasp Fixing. 22mm x 20mm Approx'. 2X Butterfly Clasp Fixings For Secure Fitting. made with love by. Add to Favourites. 60mm x 14mm Approx'. 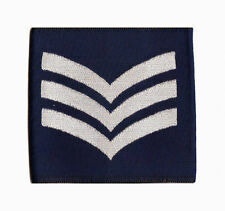 RAF Officers Number 1s Rank Braid. 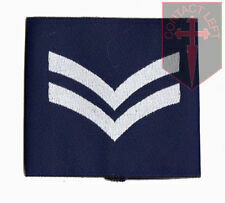 Officers Rank RAF F/O. This rank tape is of very high quality. The Oath of Allegiance and the Sovereign's Shilling. The words hold dearly to everyone who has spoken to them. New listingOath Of Allegiance Royal Air Force (framed with metal Cap Badge). The Sandbag and Light Veterans Group is a very small group of British ex-Forces. The Group has two aims; the first to produce a beautiful reproduction of the Oath of Allegiance using the words most, if not all, military personnel say at the start of their service, and secondly to create a small number of jobs for ex-military personnel. Wooden (MDF) wall plaque with a bevelled edge and a high gloss surface, very high quality finish. Can't find the crest you want?. Get in touch, we can probably help. You can have anything you want printed below the badge (or nothing!). The Oath of Allegiance and the Sovereign's Shilling. The words hold dearly to everyone who has spoken them. Nickel Pin Badge. Dual Pin & Butterfly Clasp For Secure Fixing. Add to Favourites. 30mm x 25m Approx'. 58 SQN Unit ID TRF Patch/Badge. 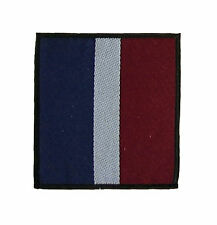 Subdued58 Squadron Unit ID TRF Patch/Badge. MTP Combat Jacket/Shirt. Royal Air Force. Ideal For All Serious Collectors Of The Royal Air Force's. 58 Squadron. SFSG (Special Forces Support Group). 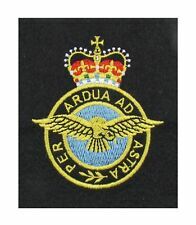 Subdued Titles/Para Wings/Colour TRF & 16 Air Assault Patch/Badge Set. & 16 Air Assault Patch/Badge. MTP Combat Jacket/Shirt. British Royal Air Force. Ideal For All Serious Collectors Of The Royal Air Force's. Hawker Harrier Aircraft Lapel Pin. Embroidered Patch. made with love by. Add to Favourites. 12cm x 9cm Approx'. Twin rear fixings. Finished in an Antique Bronze finish. Embroidered Patch. What you see listed here is all we have. made with love by. 10cm x 7cm Approx'. OFFICIAL: Dutch Para Wings On Desert DPM. It is one of the three types of "forced entry" strategic techniques for entering a theater of war; the other two are by land and sea. This ability to enter the battle from different locations allows paratroopers to evade fortifications that are in place to prevent attack from a specific direction, and the possible use of paratroopers forces an army to spread their defenses to protect other areas which would normally be safe by virtue of the geography. United States Air Force (USAF) Badged Survival Bracelet Tactical Edge.